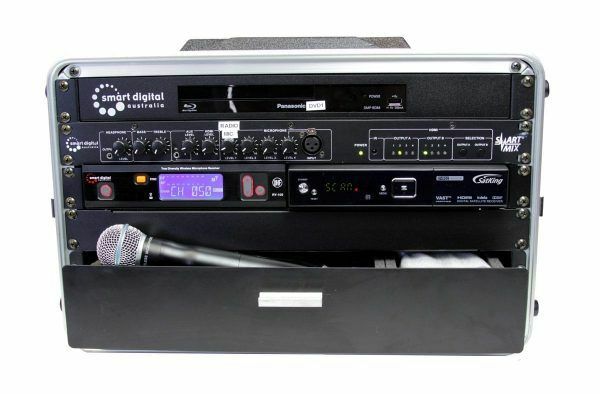 SmartBox® Platinum VAST is the ultimate entertainer. This SmartBox® model features a built in VAST system, which brings free to air TV to any place in Australia, no matter how remote the area is. 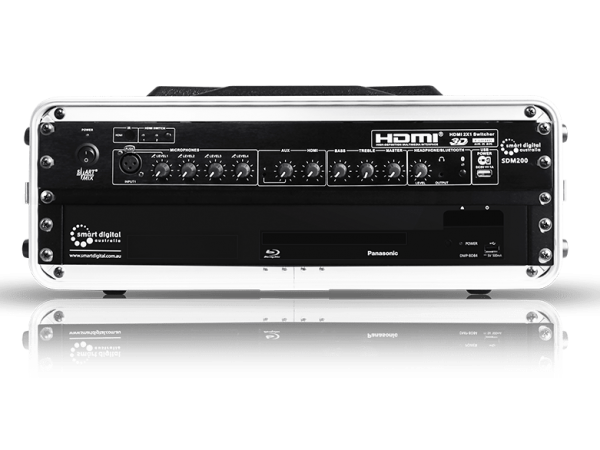 Digital television and radio services now come as a part of your outdoor cinema system! 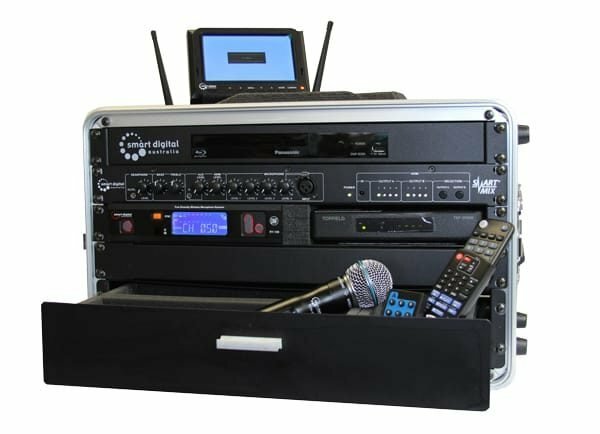 Watch movies on DVD and Blu-Ray discs; use built in VAST to watch free to air TV programmes; use microphones for singing and announcements. Moreover, connect any device with HDMI output to play console games, show presentations and videos, and have hours of fun! With the Satellite TV option, SmartBox® Platinum VAST is your choice for outdoor cinema in remote communities. 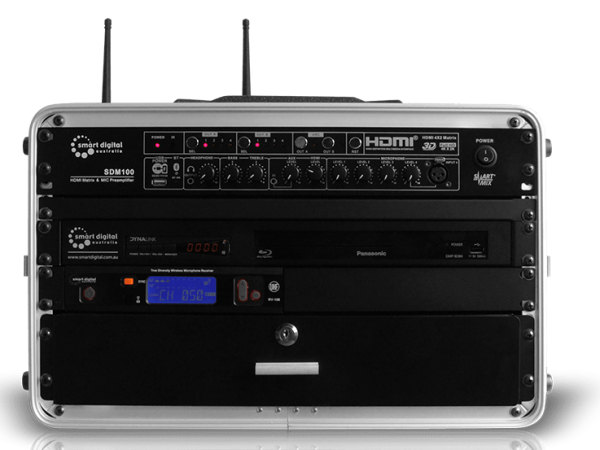 Check our range of SmartBox® AV control systems built to make running the show easy!